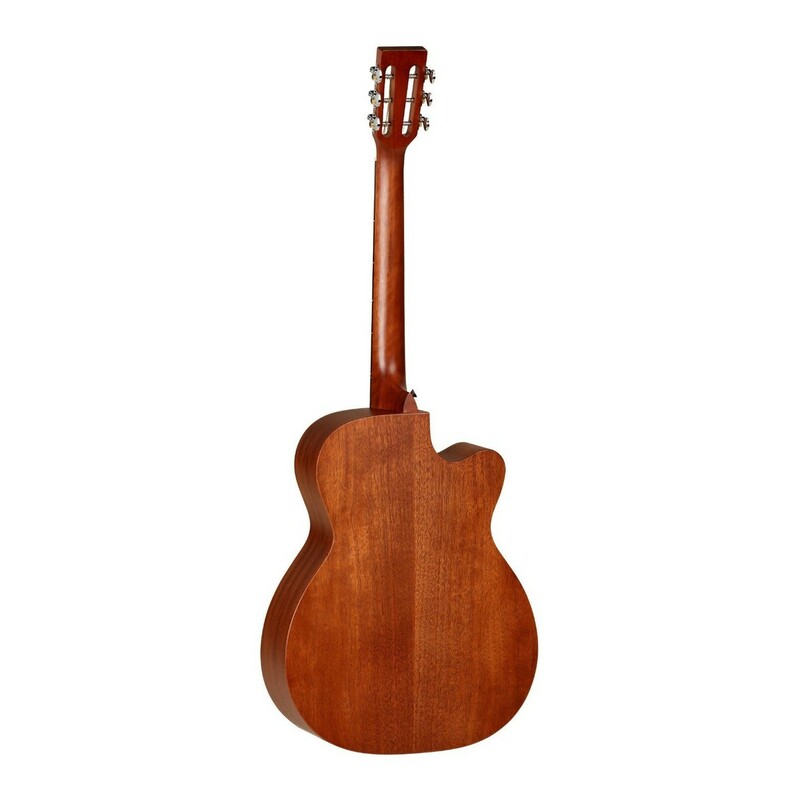 The Tanglewood TW130 SM CE LH Left-Handed Electro Acoustic Guitar features a delicately crafted Mahogany body, combined with a Rosewood fingerboard. The cutaway at the top of the fretboard allows greater access further up the fretboard and improves playability. With its elegant design, the TW130 SM CE LH delivers a warm and clear tone, which can be enhanced with the B-Band A1.2 / Fishman Isys T+ electronics. With the Mahogany back and sides, the TW130 SM CE LH adds a punchier and darker tone to the overall sound. A great guitar for any level of player. Maple is a dense and hard wood, sourced mostly in the Northeast and Northwest United States. An all-Maple body produces an extremely bright, precise tone with tight lows and has a stunning aesthetic appeal. Popular with blues and bluegrass players, Mahogany emphasizes the mid range and has a non-abrasive tone that works for player who play with picks or their fingers. Finished in a Natural Satin, the TW130 SM CE LH is a visually striking instrument for and level of player. The TW130 SM CE LH also features a Mahogany neck and Rosewood fingerboard. Rosewood has traditionally been used for fretboards in many guitars, due to being a hardy and oily wood that can stand up to extensive human contact. Rosewood also has a darker tone, which compliments the Mahogany body.